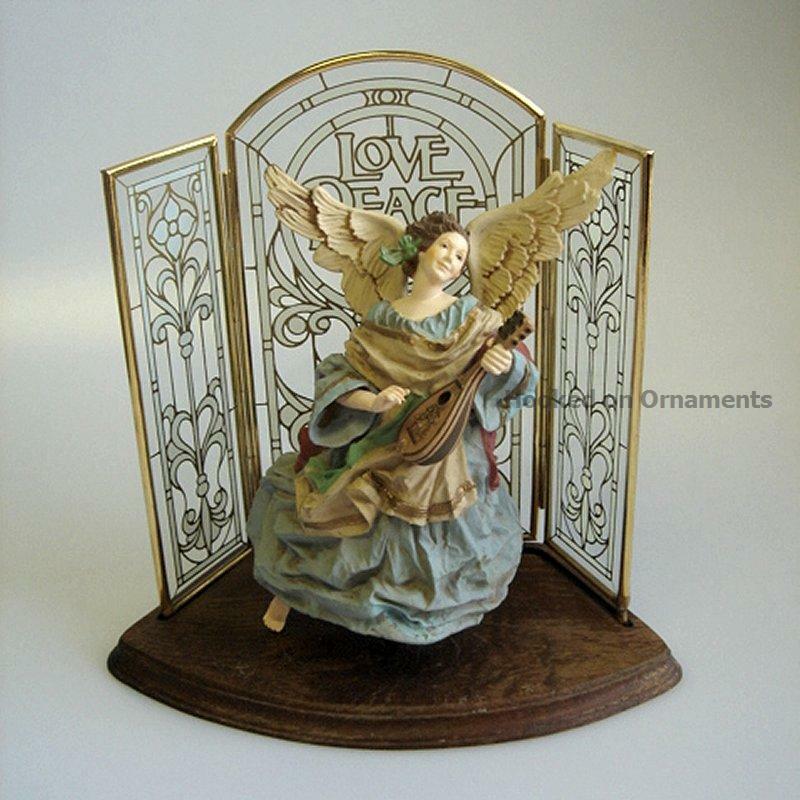 Based on the Heavenly Minstrel (1981) ornament design, this elegant table topper features the look of stained glass with a brass frame and walnut base. The walnut base on this one shows some age. Caption - "Peace Love Joy"